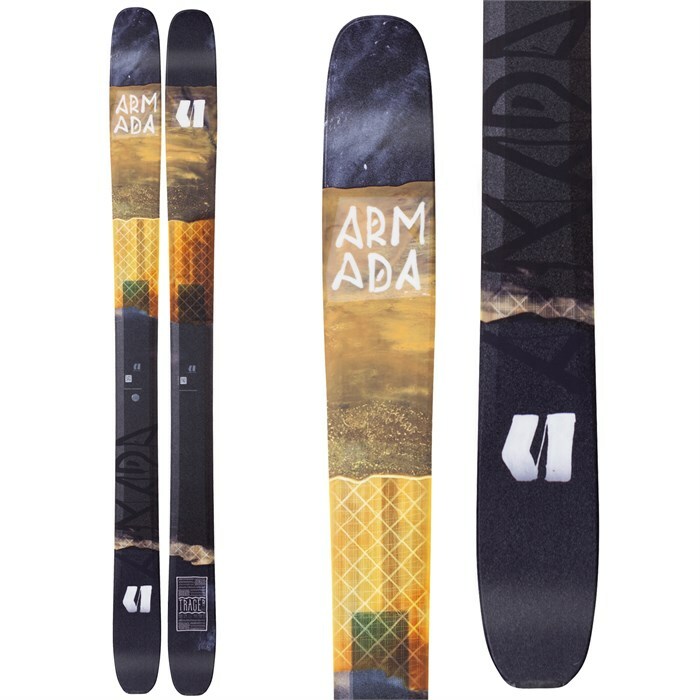 Brand spanking new for the 2017/2018 season, we introduce the Armada Tracer 118 CHX Skis! Ushering in a new wave of big mountain performance, these skis offer a similar outline to the ever popular JJ but are stiffer and more directionally inclined, a setup aggressive, hard-charging skiers will rightfully covet. Under the hood, the Tracer 118 CHX boasts a slew of cutting edge tech -- from Titanal binding reinforcement to Armada s Xrystal Mesh layup and a Hybrid Ultra-Lite core. Combined, these materials provide the Armada Tracer 118 CHX Skis with a smooth yet remarkably weight-efficient ride you can lay some serious smackdown with. EST Freeride Rocker  Rockered tip and tail combined with positive camber underfoot to provide floatation in soft snow and create remarkable edge on the harder stuff. 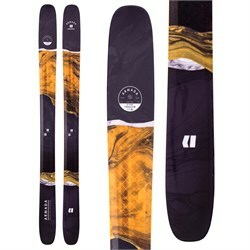 Tapertops  A 3D topsheet with beveled construction strengthens the ski's perimeter for maximum efficiency and stability. Hybrid Ultra-Lite Core  A combination of lightweight woods throughout and hardwood laminates underfoot, the Hybrid Ultra-Lite Core created the ultimate in agility and maneuverability without sacrificing any security or dampness underfoot. Xrystal Mesh  An Innegra Mesh insert stabilizes the ski for a smooth ride by adding toughness and durability. Laminate Matrix  A directional layering of fiberglass dictates flex pattern and torsional rigidity. AR75 Sidewalls  Sidewalls provide improved edge pressure under the boot, while cap constuction in the tip and tail provides smooth turn initiation and less hookiness - 75% sidewall, 25% cap. Comp Series Base  Armada's fastest base. 1.7mm Impact Edge  Light, strong, and heat-treated for durability. I-Clip Tail  A notch for your skin clips, allowing for seamless transitions and better skin hold.